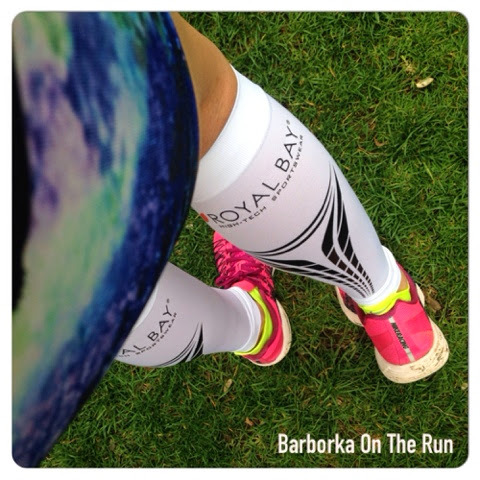 When I won last week's Run against diabetes, I won a pair of Royal Bay compression socks. I test Royal Bay gear, so I am not keeping the prize myself. My win = great news for you! 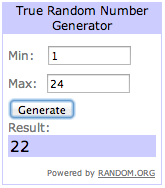 I'd rather do a GIVEAWAY for you my dear readers. What is the prize? 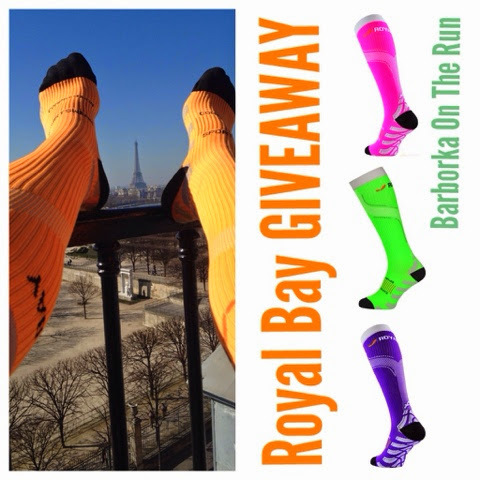 Pair of your choice of Royal Bay NEON compression knee high socks! Simply comment here and tell me which one of the 6 available colors would you like to win and why! You can enter the giveawary until Friday April 25 midnight. Zapojila jsem se do bloggerské výzvy podělit se o myšlenky na téma "Miluju přírodu, mám rád lidi, žiju LOHAS" (LOHAS = Life of Health and Sustanability), která je zároveň spojena se soutěží o velmi zajímavý balíček cen, které jsou všechny přírodní, trvale udržitelné atd. Kdo by nechtěl vyhrát? A zároveň je to příležitost podělit se o trochu off-topic neběžecké téma, které mě ale provází denodenním životem a je mému srdci blízké! Když se mluví o jednoduchosti nebo dokonce minimalismu, člověk si často vybaví krásné čisté linie, ale také odříkání na všech frotnách, které může být vyhnáno až do extrému. A i když se člověk rozhoupe a chtěl by se přiblížit tomu směru, většinou to po chvíli vzdá, protože má pocit, že to je moc velké sousto a že svůj život jen tak lusknutím neotočí. Je třeba nepodlehnout panice! ... a zapojit tzv. vědomou jednoduchost - zapojit vlastní myšlení a rozhodování. A to se netýká jenom nakupování a materiálních věcí, jde i o volbě programu, typu zábavy atd. Dělat věci, protože "se" to tak prostě dělá, nebo to tak společnost očekává je nesmírně vysilující, frustrující a neuspokojivé. Určitě bych toho vymyslela mnohem víc, ale co napadne Vás??? Na voluntary simplicity nebo simple living a LOHAS určitě není jednotný recept pro všechny. Každý jsme jedinečný, máme jiné zájmy, priority a vášně. Pro každého je důležitá jiná oblast života. Já třeba utratím pro někoho asi nepochopitelné množství peněz za kvalitní potraviny a suroviny, ale mám také z každého jídla radost. Někdo zase nedá dopustit na oblíbenou knihu a tak pro každého je ta vášeň jiná. Podívejte se na kompletní přehled cen věnovaných do soutěže. Žijte zdravě, užívejte s mírou, myslete na planetu a myslete na lidi. Buďte upřímní k sobě i svému okolí, žijte na rovinu a natolik udržitelně, abyste se za své jednání nemuseli stydět. A do pojmu „jednání“ započítejte cokoliv, co děláte během dne, to, co doma jíte, jaký odpad za sebou zanecháváte, v čem perete, čím jezdíte, jak mluvíte s lidmi, případně jaké zlo/dobro předáváte vašim dětem. ŽIJTE LOHAS! What were your recent races? 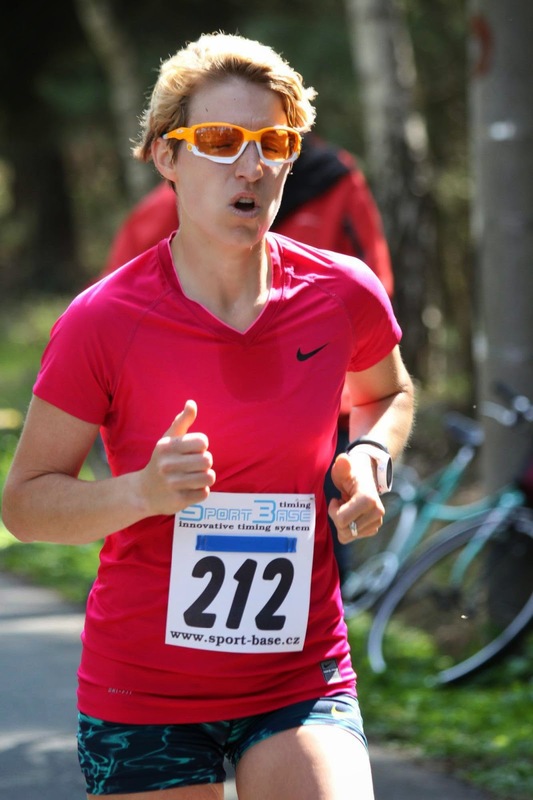 When I found myself sitting face to face with my mental coach on Thursday evening in full taper mode two days before the race I was ... puzzeled, nervous, did not know what to do with myself! Did not really reace since Berlin in September!!! 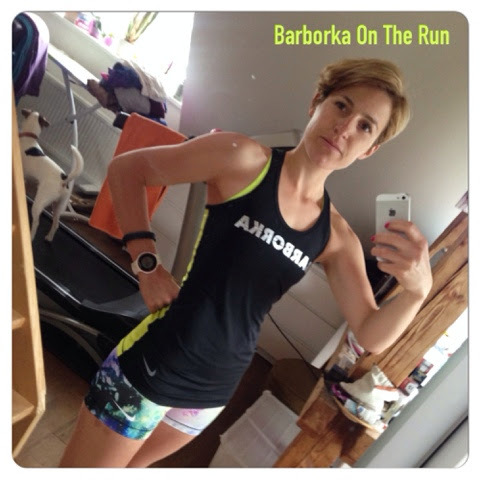 I would like to thank Jirka here for helping me to put myself back together, trusting in what I invested in my training in the past months ... basically managing taper madness (I have written some taper tips when getting ready for Prague 2012). To the race now ... I was really excited to go rock'n'roll. The Coach (the one thats puts my physicall training together) was little anctious about me being rested and recovered enough afther the very very intense training camp. I thought he was exaggerating - lesson learnt: The Coach is usually right. Way more often than I am, but I have to learn my lessons the hard way. 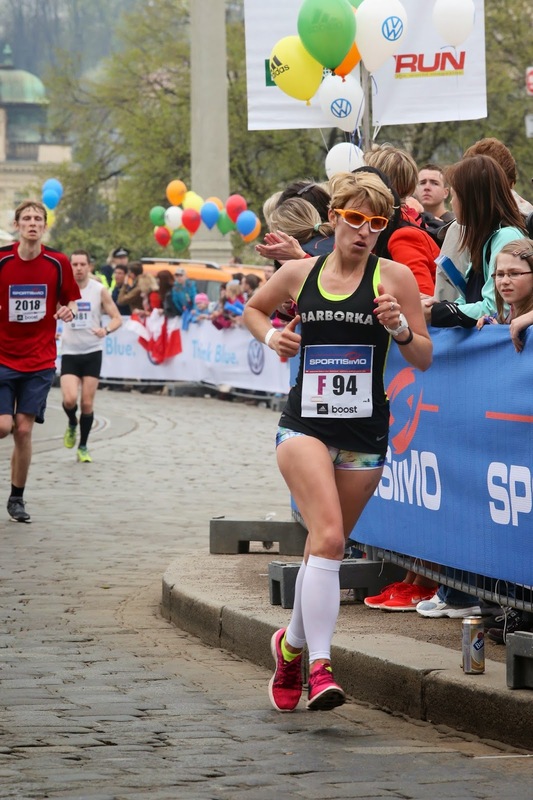 I didn't talk with many people about my goals, but it was set inside my mind to go sub 1:30. Well, there have been few warning signals: Wednesday and Thursday I was feeling like being on the edge of getting a flu. Here I can prove how strong the mental attitude is. I simply pumped up the vitamins, fruits etc. and put in my head that being sick is not an option! This part worked out pretty wall. Secret weapons for the race: Nike LunaRacer3 & brand new Royal Bay compression calf sleeves! 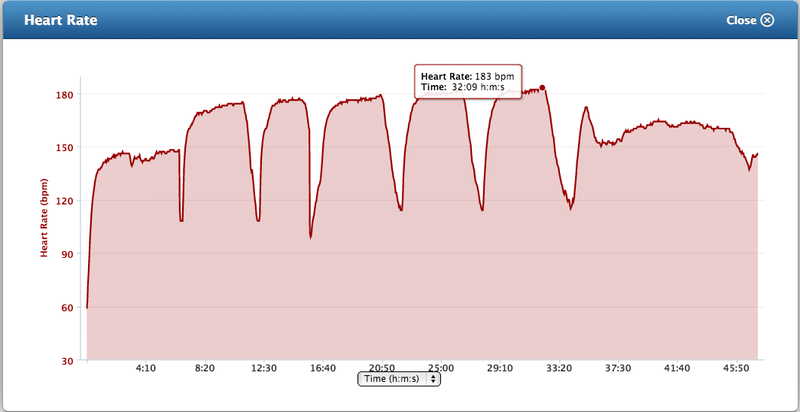 I also monitor my morning resting heart rate quite regularly, especially in the high intensity times and coming to a race. 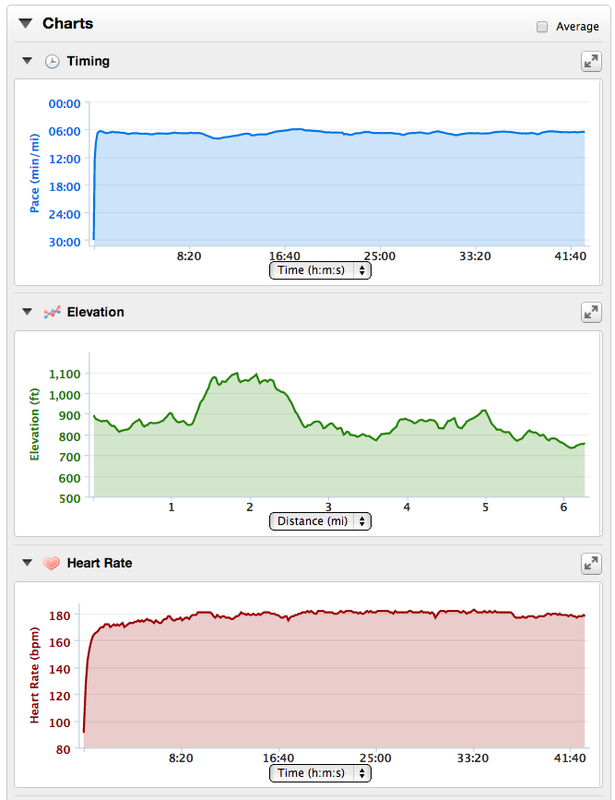 My resting heart rate is usually around 45-47, 42-44 when I am in the best shape and goes up to 50 when I am getting sick or am really tired and on the edge of overtraining. Well Thursday, Friday and Saturday it was 50. I tried to ignore it, didn't even tell The Coach. Race morning coming up. I sticked with my usual routine. Apart from waking up one and half hours earliere than planned ... well I was nervous :) Chia seed "pudding" with bananas and finally Nespresso with caffeine and no decaf for breakfast. 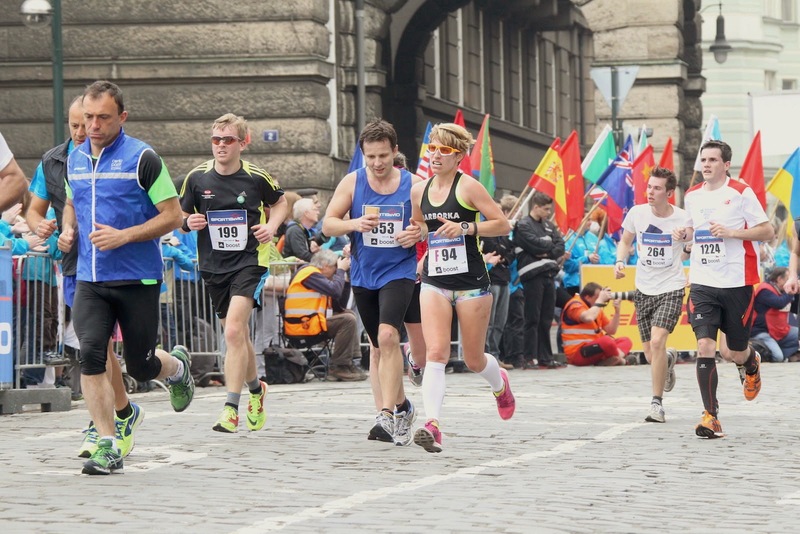 I was off for warm up with The Coach and Bohdan who trains with him as well (and did amazing 1:30:07 in the Prague Half!). Felt great during the warm up except that it was way colder than the original weather forcast promised. 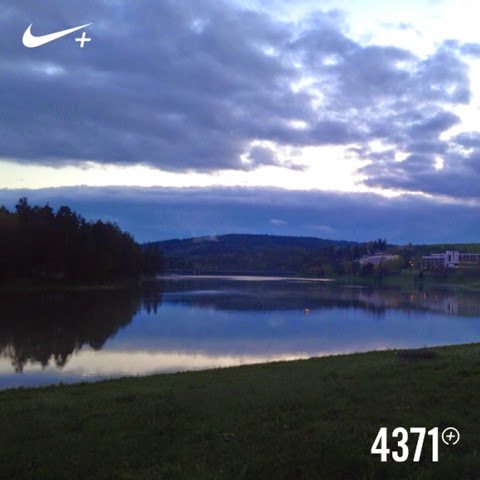 Miles 4-6 6:49, 6:52, 6:55 (4:14, 4:16, 4:17 min/km) ... after the 10 km mark I started to "get it". 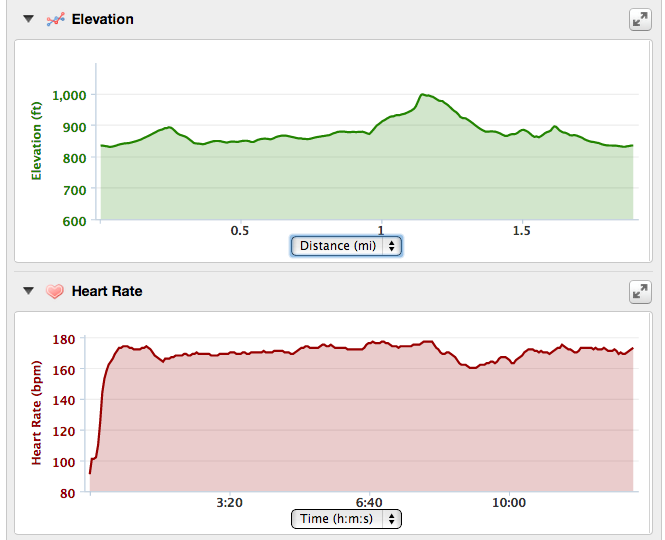 To acknowledge my mistake and feeling that the pace was suddenly feeling much harder than it should have been. Same as at the beginning the pace felt really easy and I did not control myself to hold it in for the later stages of the race. From the half way point, it was hard work. 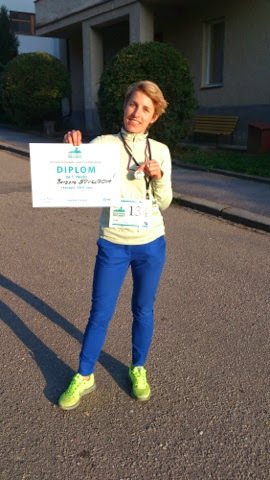 Mentally and physically, when running along the Čechův bridge, which is where you come back just about 1.5 km before finish, I felt like finishing here. I guess you have this moment in any race where you just want to quit. 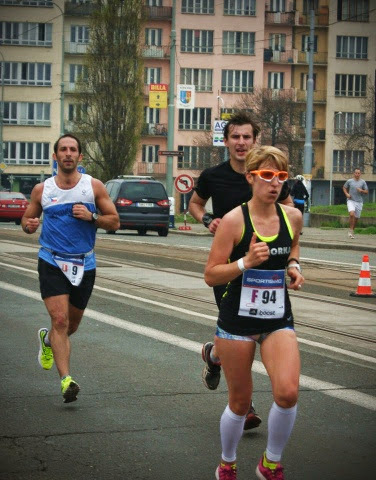 Fortunately, I got distracted by Bohdan (the athlete that is trained by my coach as well) coming from behind. He started further behind, so I tried to stick with him and he adjusted his pace to help me. So as I am writing this I am getting aware that I was probably the cause for him not doing the sub 1:30 as he did 1:30:07 ... He helped me a ton! Not letting me to slow down, I was concentrating on sticking with him for about a mile or two and then let him go, did not want to slow him down. 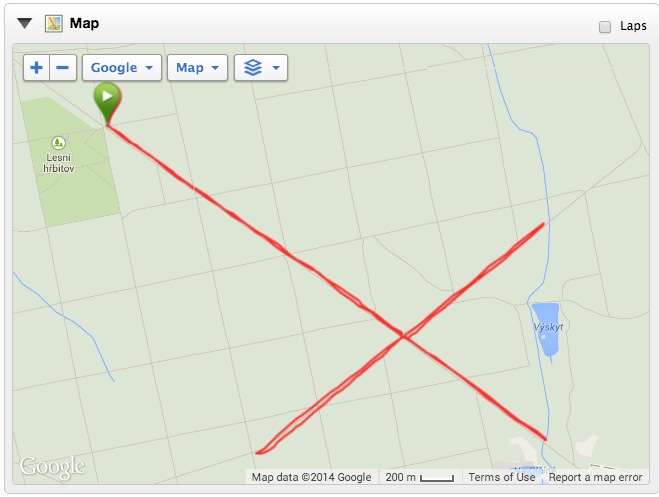 Coming to the 15 km marker is where you kind of turn and go back to finish. 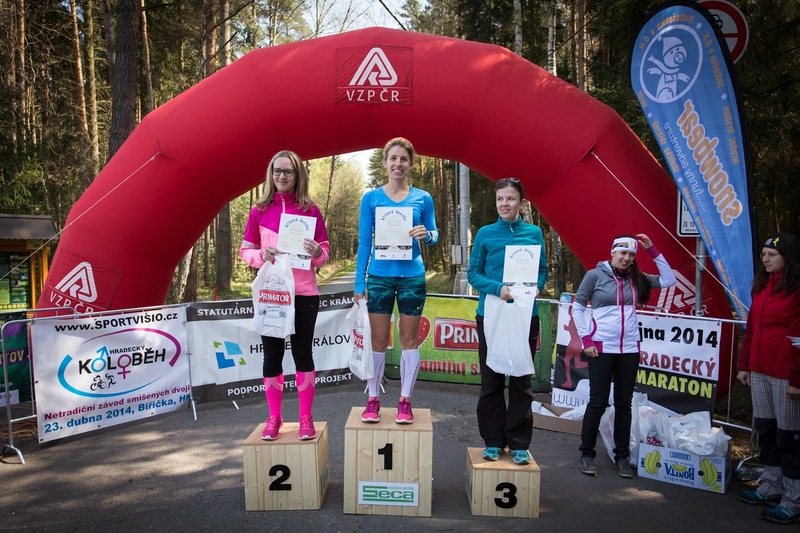 There were two great runners Láďa and Péťa cheering on and taking pictures. That cheer up helped me a ton honestly!!! Thank you guys! Little side note about the atmosphere. Honestly I was really upset, such a silent and "boring" race. I had my name printed on my chest, at any foreign race you have total strangers cheering up for you. Not here, I got only cheered by people who knew me and also got few of rare, let's go girl! 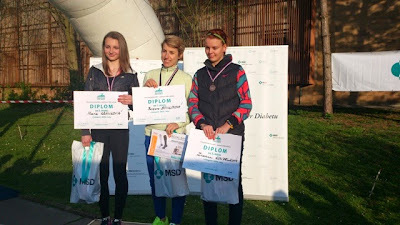 As there were not that many female runners at this moment. 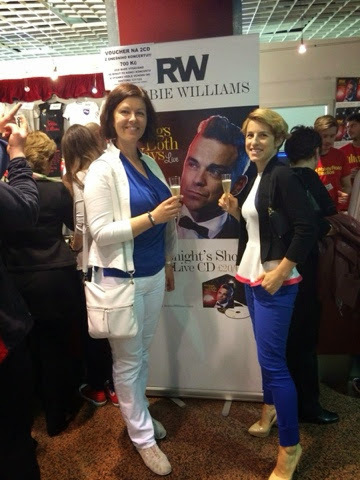 Thank you Láďa & Petra for this photo!!! Once you cross that bridge just after 15 km, you come back through office buildings and open fields and there is usually strong head wind, which was not the case here. Thank God! So putting one foot ahead of the other. Little rolling hills here and a lady looking really strong overtook me just before entering the tunnel just about 3 km before finish (who knew she was gonna beat me in 10 km next week and be the only one to run faster than I did). 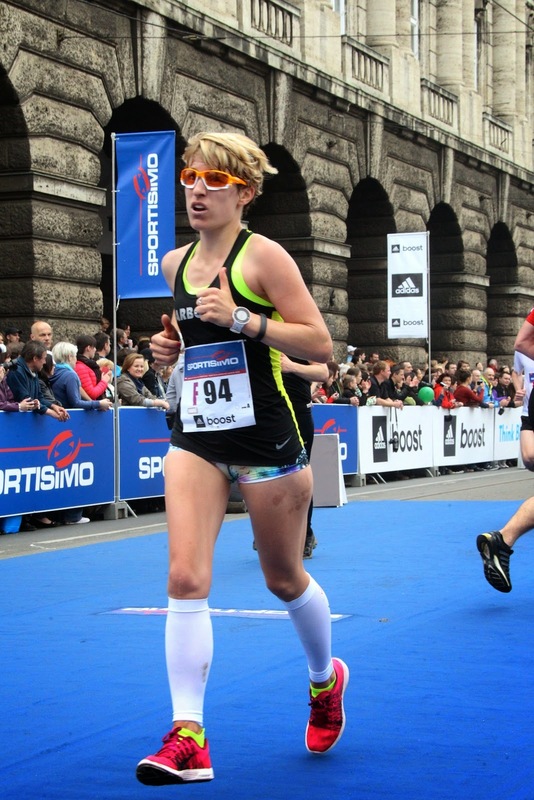 I looked over my shoulder and I don't know if there was another female runner or not, but I had a feeling like it was. And I know myself and know that this is the best motivation. It is tough to handle someone overtaking you when you cannot stick with them, but having someone closing up on you who had put too much energy to close up so if you can surge a little you still safe keep your spot. So this is what I did. 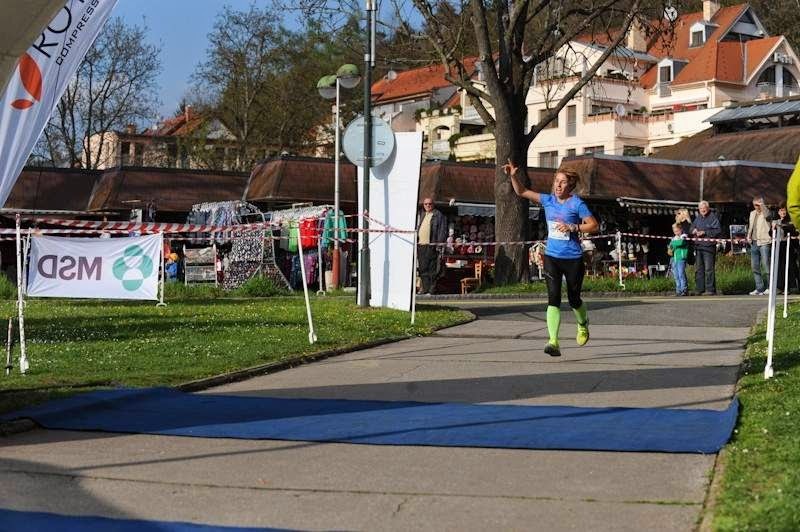 After getting over being upset for not scoring the 1:30, I became really happy about coming in 629th overall out of over 8 thousand people who finished the race, 39th woman and 21st Czech female :) And knocking down over 5 minutes from my personal best is not that bad either. 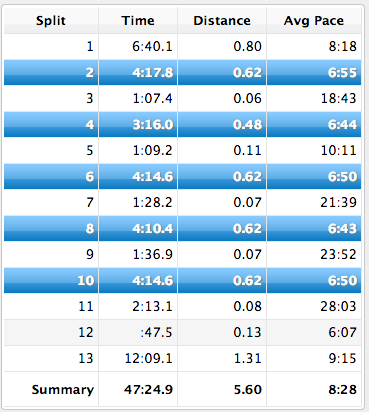 Lesson learned, way better to go out too fast in half marathon than to do it in a month time in the full marathon that I have been getting ready for all the winter months. 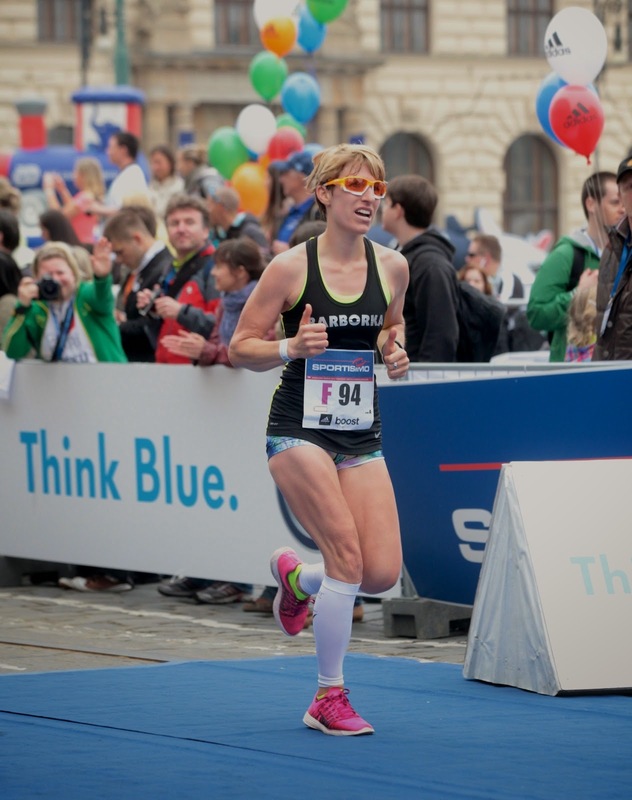 Outcome: I can't wait to race the Prague Marathon on May 11!!! 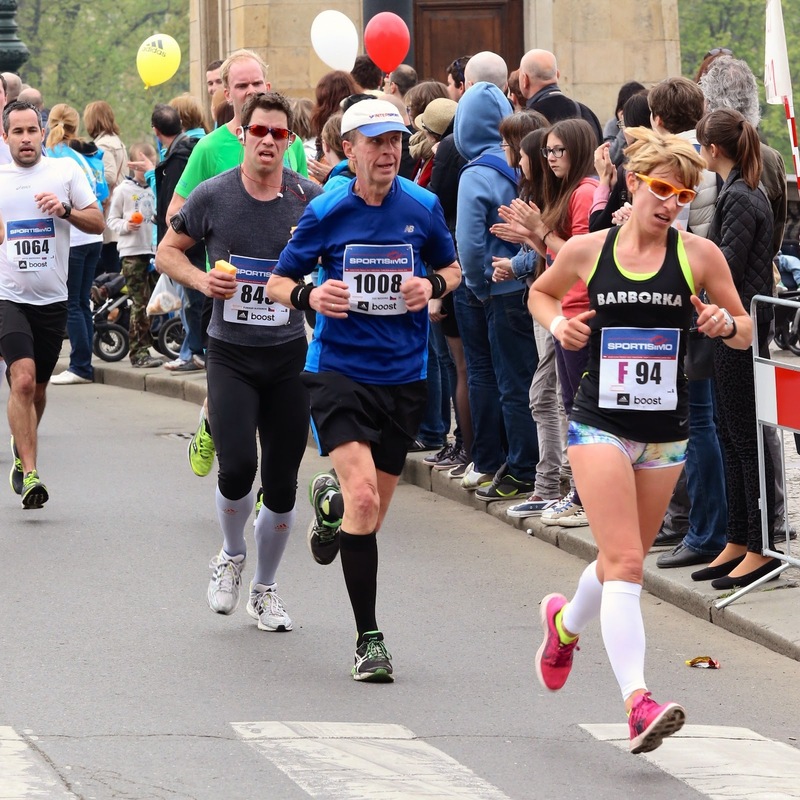 As I write this week from the race, my form definitely went up after the race, so The Coach was right and there was not enough time to recover after the intense training camp ... another lesson for me :) 10 more days to work hard and then taper for Prague Marathon!!! Vyberte si svoje Nike Free z nové kolekce 2014. Běžecká kolekce nabízí tři verze 3.0, 4.0 a 5.0 s různou mírou podpory (čím vyšší číslo, tím vyšší podrážka), další boty z kolekce Nike Free jsou vhodné pro fitness a HIIT či crossfit. Které byste chtěli do svého botníku? 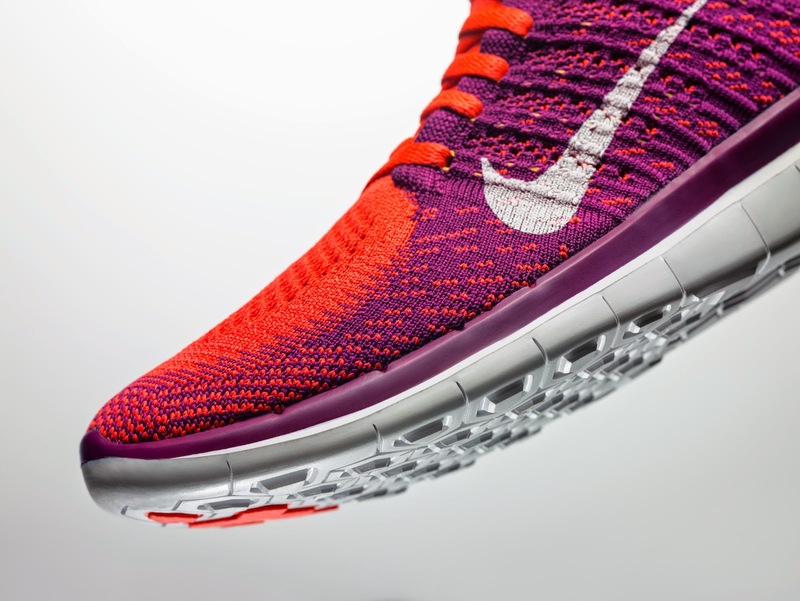 Vyhrajte Nike Free 2014 dle vašeho výběru! 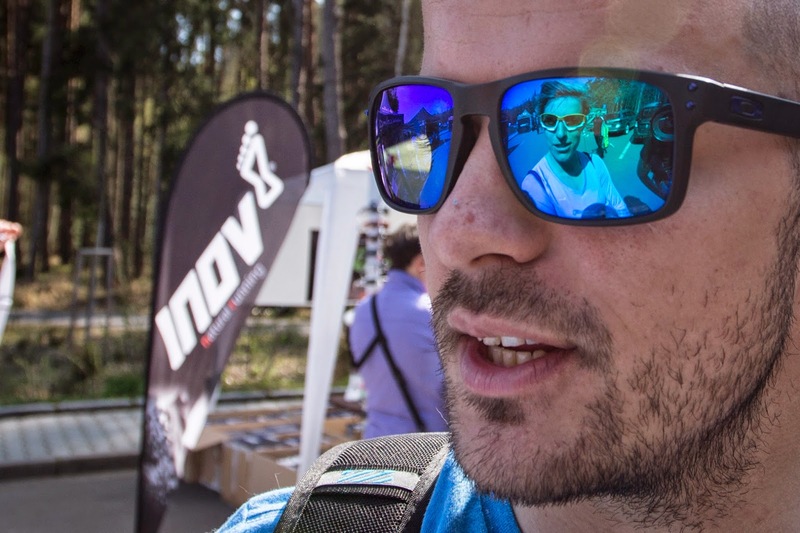 1) Přijďte na představení kolekce Free Your Spirit tento čtvrtek 3. dubna od 18:00 do prodejny Nike v Novém Smíchově. V rámci akce dostanete voucher na lekci/vstup do Holmes Place (pozor, je třeba využít ve stejný den!) a také pozvánku na Nike Shopping Night (= Nike za lepší ceny :) ). 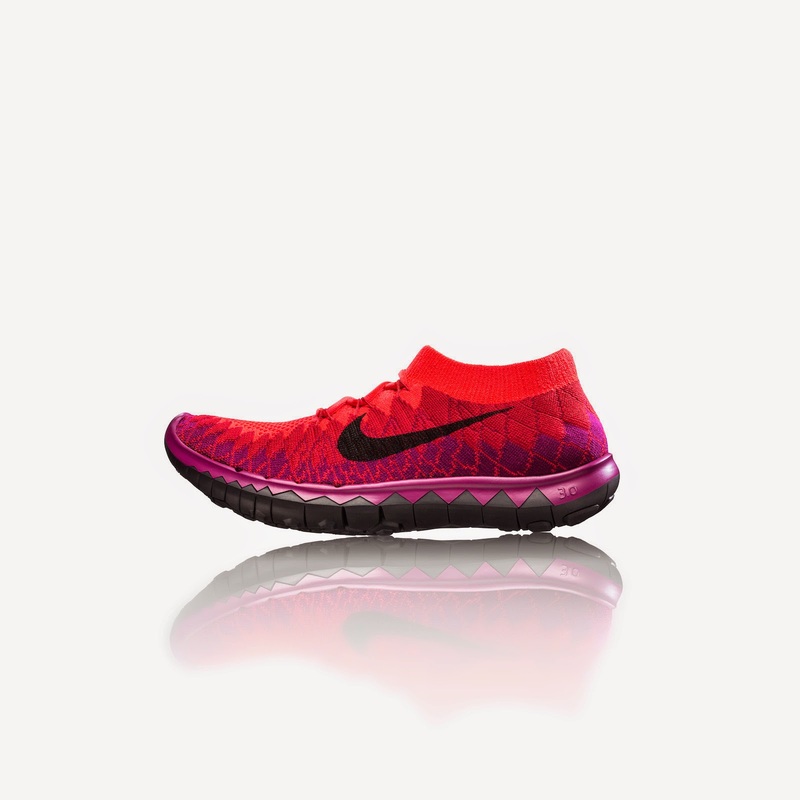 2) Vyberte si Nike Free, které právě vám nejvíc sedí, a vyfoťte se s vybranou botou. 4) Dejte link na fotku tady do komentářů na blogu. 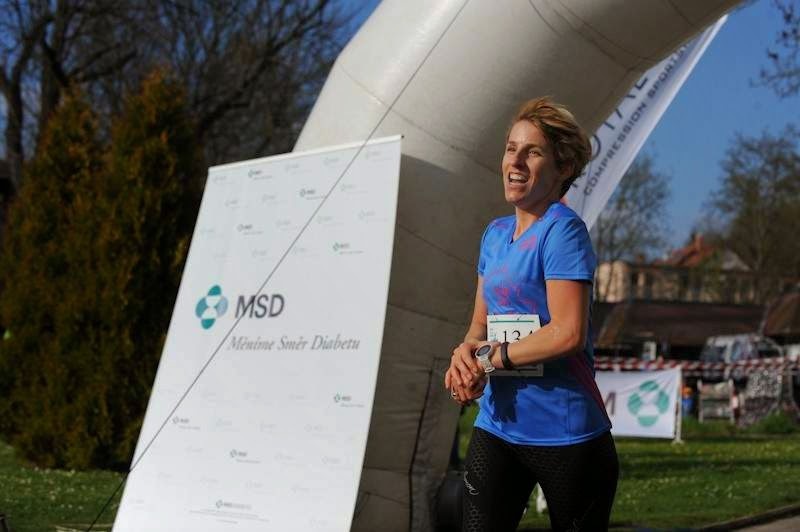 5) Soutěž potrvá do půlnoci v neděli 6. dubna, fotku s Nike Free můžete udělat v tomto období také ve kterémkoliv z dalších Nike obchodů! 6) Soutěž běží pouze v České republice. 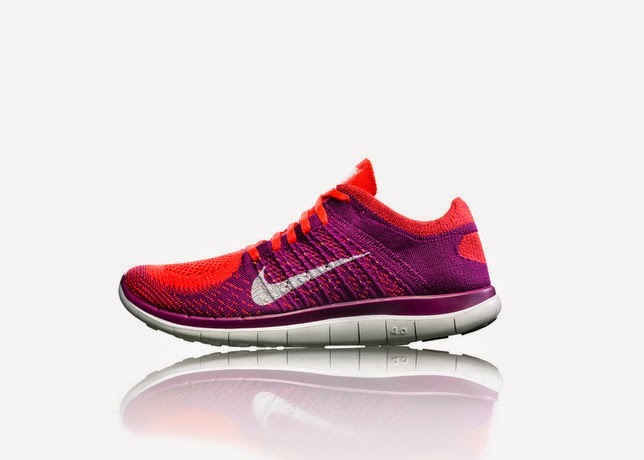 Choose your Nike Free from new collection 2014. The running collection offers three options: 3.0, 4.0 and 5.0 with different levels of support (higher number = higher support). 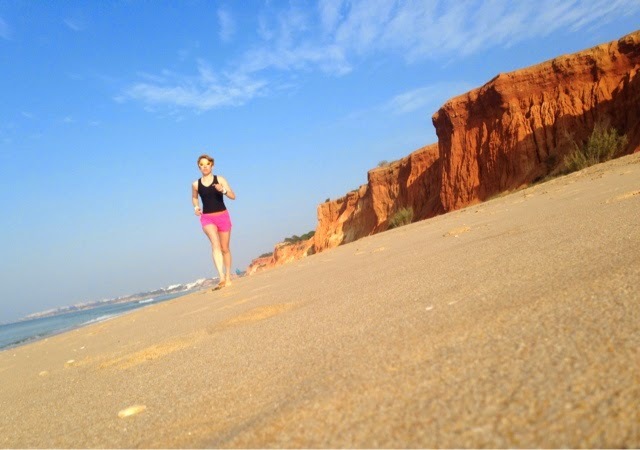 You can also choose the fitness and cross training options. Which ones would you like in your warderobe? 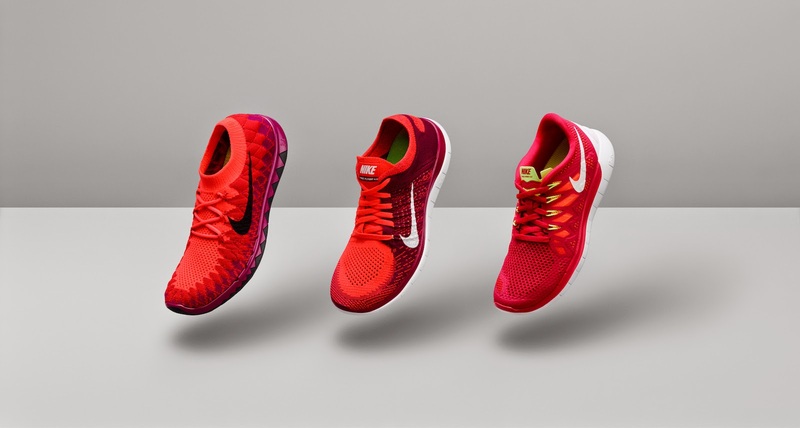 Win Nike Free 2014 of your choice! 1) Come to the Free Your Spirit event where the collection will be launched this Thursday April 3 at 6 pm in the Nike shop at Nový Smíchov. As a part of the event you will get voucher for a class or gym entry at Holmes Place (you need to use it the same night!) and invitation to Nike Shopping Night (= get your Nike gear at better prices :) ). 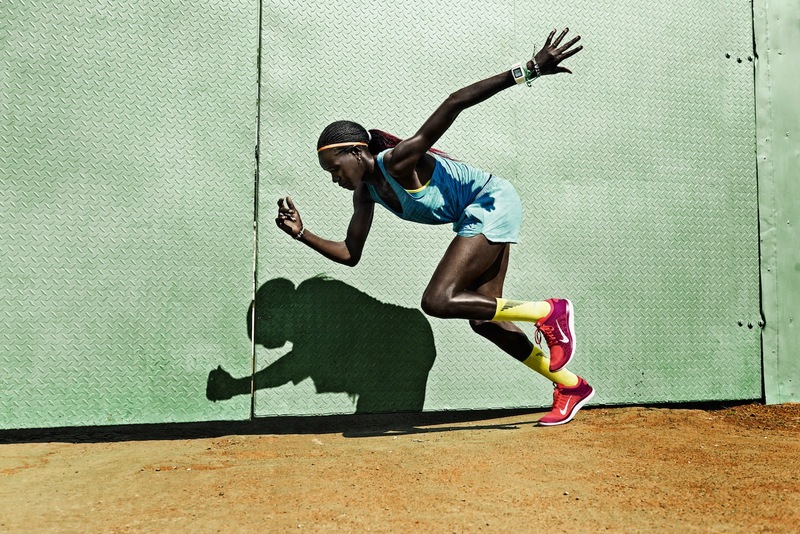 2) Choose the Nike Frees that fit you the best and make a photo of yourself with the shoe. 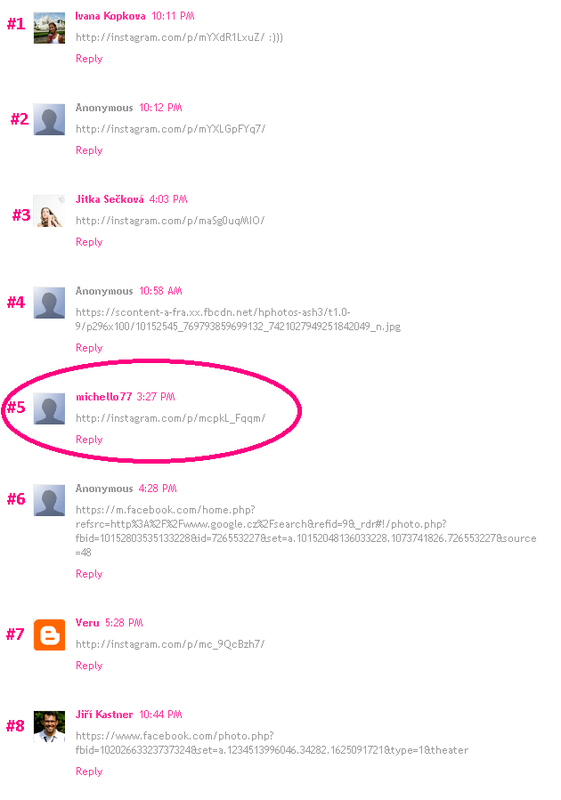 4) Paste a link to the photo to the comments here. 6) The giveaway is only valid in the Czech Republic.